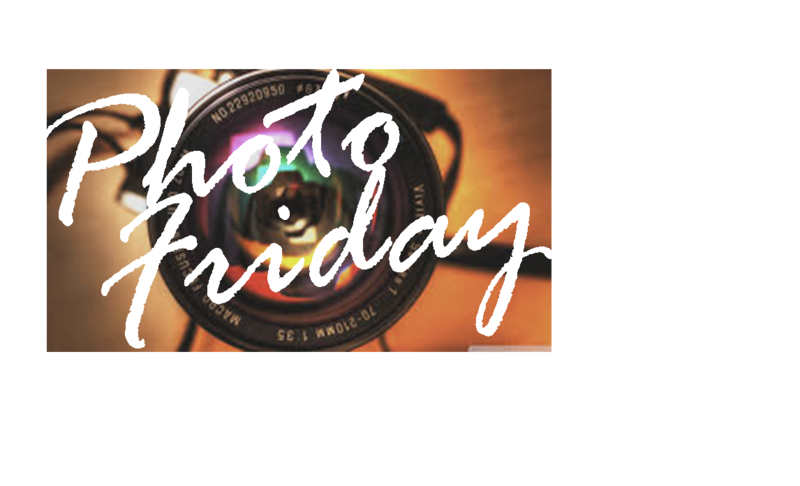 Today’s photo Friday was inspired from the State Fair. One of my favorite things to see at the fair is none other than the GIGANTIC FRUITS AND VEGETABLES. These things just leave me speech less…and grateful that I don’t have to eat them. Any awesomely huge vegetables or fruits you’ve seen? What’s your favorite thing at the fair? 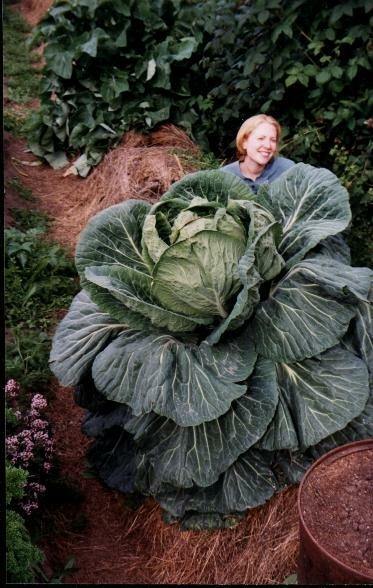 This picture is of an enormous cabbage grown by expert farmer John Evans of Alaska! This green cabbage is MASSIVE! Ever wonder what $160,000 dollars looks like? Well, just take a gander at this 3lb Truffle. 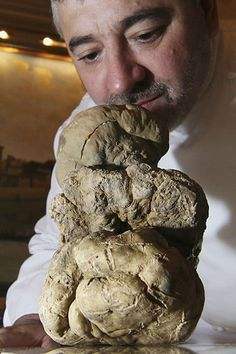 Found in Italy, the truffle sold at auction for $160,000. I am thinking about becoming a truffle hunter as a side job…. The last picture is of a 17 POUND ONION. Talk about bad breath! 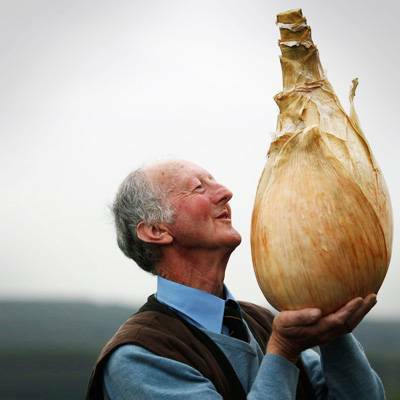 The onion was grown by Peter Glazebrook of Newark, England. The onion earned a World Guinness Record. Having family traditions is important. They make you feel more like a team. They can bring families together. They are memory makers. I thought I would share one of my families traditions and I would love to hear about yours! For our birthdays, my Mom would make something she called a “Royal Breakfast”. About a week before, Mom would have us make an “order or wish list” of our desired menu. It could be anything: bacon, omelet, biscuits and gravy, cookies, cake, sausage, waffles, pancakes, whatever! On our birthday or a weekend day closest to our birthday, I remember waking up to that to die for smell of bacon and sausage frying, and waffles baking. A few minutes later you could hear the “Happy birthday” jingle coming down the hall, towards my room. My entire family would be there (except Andrea…she and I have the same birthday!) singing and holding a breakfast tray complete with our fanciest dishes, a flower in a vase, and a candle to blow out. Oh! and I forgot to mention a “bell” to ring when we needed a refill. That’s what I call a royal breakfast. My Mom would set the tray on my lap and we got to feel like royalty for a day. I love this tradition, and I plan on doing this with my kids…someday! 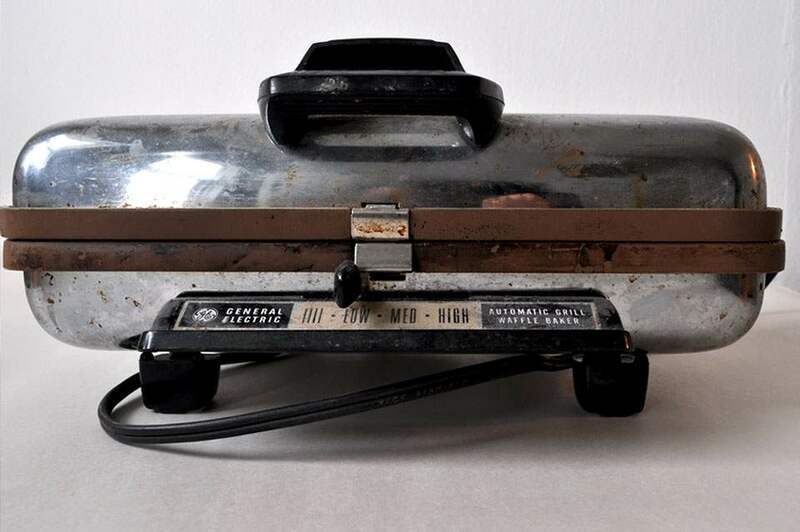 For my entire childhood and up till I went to college our 1950s waffle iron served us faithfully, producing batch after batch of perfect waffles. There were a few times towards the end of its life that the cord would send out some sparks. That was kinda scary. But otherwise, it was still kicking. When I was in college, hundreds of miles from home, I heard some horrifying news on the phone. My Mom casually said that she had made waffles for my younger sisters, using a new waffle iron. WHAT? A NEW waffle iron??? “Just giving the old one a break?” I asked, telling myself not to panic. It was a crushing moment. And the waffles have never been the same since! RIP Waffle Iron. How do you top your waffles? What do you top them with? What are your family traditions? I am really, and I mean really, weird about sweet things. I think it’s called a “Super Taster”; (learn more about it at Smithsonian.com, “A Matter of Taste” by Mary Beckman; if you read about it-I have no problem eating vegetables…fruits are what I have a really hard time eating!) Basically I have a bunch more sweet taste buds on my tongue than most people, so when I eat a bite of cake it tastes like I just shoved a gallon of sugar down my throat. I like the flavor of sweet things but it is literally impossible for me to eat them. My twin sister, Andrea, is the exact same way! Weirdies together! So my waffle is topped with butter and a squeeze of lemon juice. Ya, totally weird, but delicious! I am a foodie. I love to cook, try all sorts of food, and learn about food. And I have to say, if you have never been to The Cheesecake Factory…you have never lived. my mind wondered to the restaurants on the bay, one restaurant in particular lodged its’ way into my brain and I haven’t been able to stop thinking of it since. 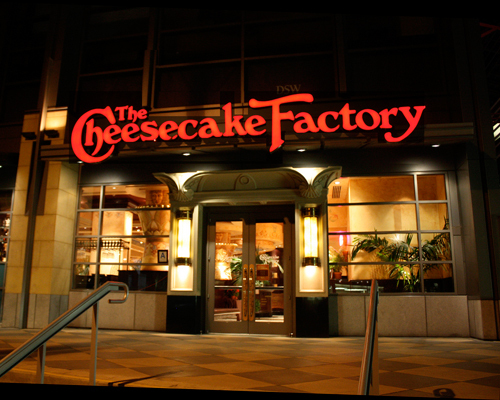 (imagine angelic music playing) THE CHEESECAKE FACTORY. Glorious! I love this place, and yes they do serve food other than cheesecake. Their menu has so many options, it comes in a book form with a spiral binder. Everything looks AMAZING. (My brother-in-law got a mac & cheese burger…it looked like…heaven) But, I only ever get one thing from the cheesecake factory: Chicken Bellagio. It’s a crispy chicken that sits in a bed of pasta dripping with pesto sauce and then is topped with arugula, Pancetta (Italian Bacon), and fresh shaved Parmesan Cheese. Mouth watering. I am a pesto fanatic. I love it on sandwiches, pizza, pasta, for breakfast, lunch or dinner (well…perhaps not breakfast). Traditional Pesto is the combination of basil, garlic, olive oil, pine nuts, black pepper, Parmesan Cheese and a dash of salt. *fact-did you know basil is often called the “King of Herbs”? 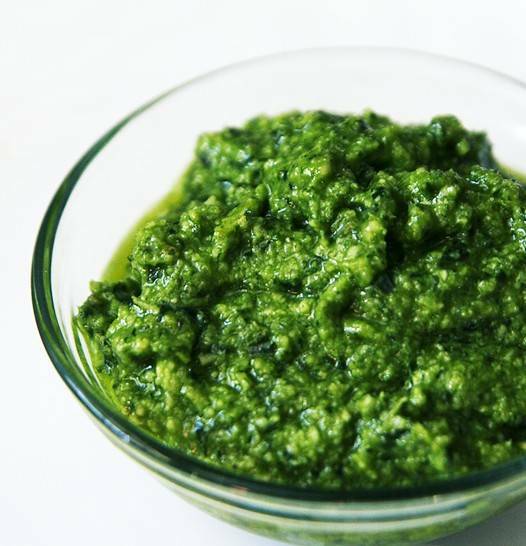 Pesto is Italian in origin, with its’ name’s basic meaning being “to crush”, referring to how all of the ingredients are blended together (in Italy the ingredients were first crushed with a mortar and pestle). It is similar to a spread the Romans ate called, “moretum”. It is usually paired with pasta but makes a great flavor addition to sandwiches, chicken dishes, pizza and I’ve even tried it tossed with a salad. find it at Wall mart near the Deli in the refrigerated specialty foods section. Blend the first three of the ingredients together in a food processor with a small amount of the olive oil. Once the ingredients are crushed, add the rest of the olive oil, the pepper and salt, and the Parmesan Cheese. Bon Appetite! I suppose you can guess what I’m having for dinner! Have you ever been to the Cheesecake Factory? What is your favorite thing to order? Do you have a family pesto recipe?